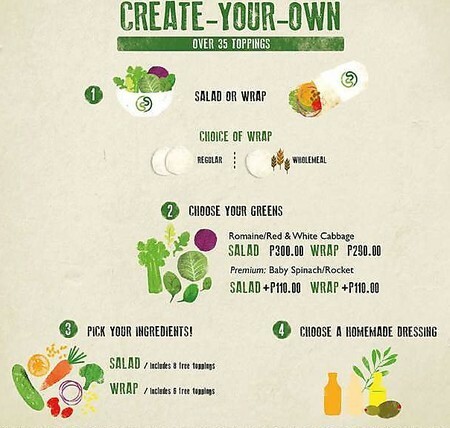 Hungry foodies wanting a fill of guilt-free, good and delicious food can now make SaladStop! 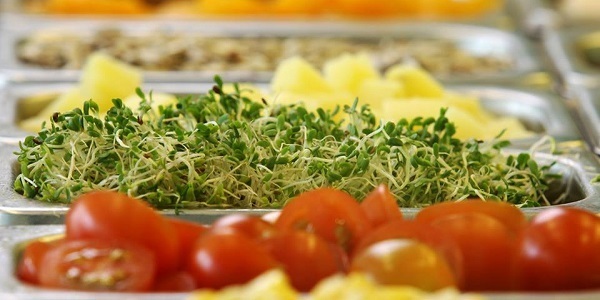 a pit-stop for their healthy fix of high quality salads and wraps made fresh. 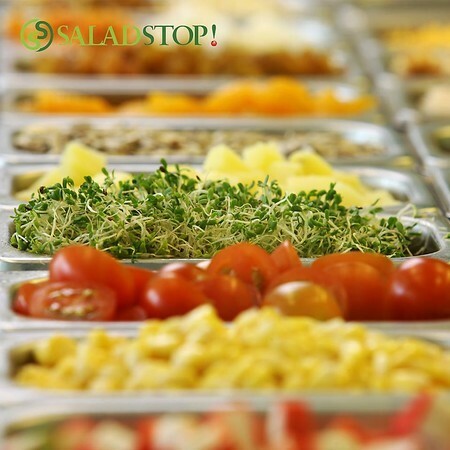 At SaladStop, classic flavors and signature items can be ordered as either a wrap or a bowl of salad. 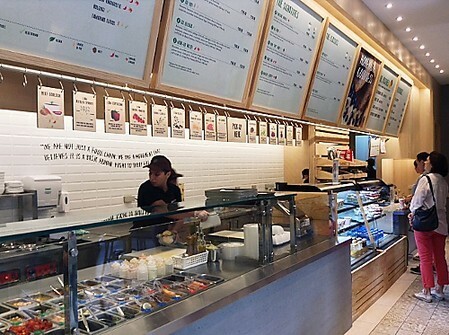 Their signatures, mostly Asian inspired, include Sunshine Manila (P260 Salad, P250 Wrap) with tuna flakes and lumpia skin in Tamarind Citrus Vinagrette, Oh Crab Lah! (P260 Salad, P250 Wrap) with crab sticks, vermicelli and egg in Singapore Chili Crab dressing, and Go Geisha (P260 Salad, P250 Wrap) with soba noodles, edamame, and tofu in Japanese Miso dressing. 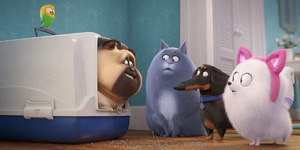 For health conscious individuals, the calorie count is displayed on their menu. For those wanting the DIY dining experience, SaladStop! 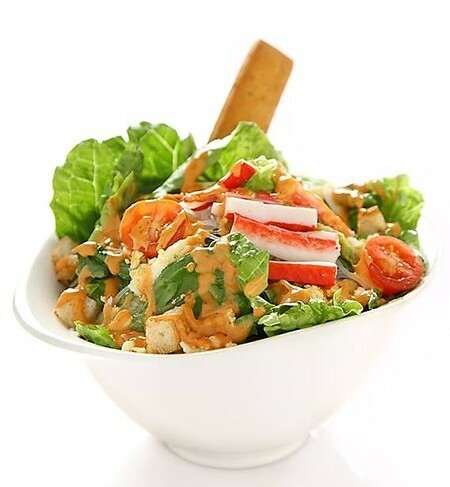 offers Create-Your-Own salad or wrap, where you can choose from from over 35 toppings, greens (romaine, red and white cabbage, baby spinach, rocket), and 18 homemade Western and Asian dressings. Every item is labeled to make it convenient for the diner with particular diet needs or preference: gluten-free, vegetarian, vegan, lower in fat, seafood, nuts, chili. 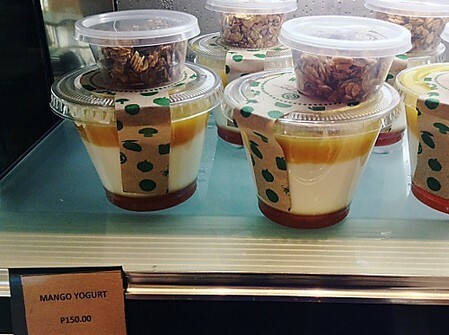 Soups, muesli, yogurt, and fresh beverages are also available, and all of their pastries, like their no-butter Acai Banana Cake (P50), are homemade in-house with no preservatives. 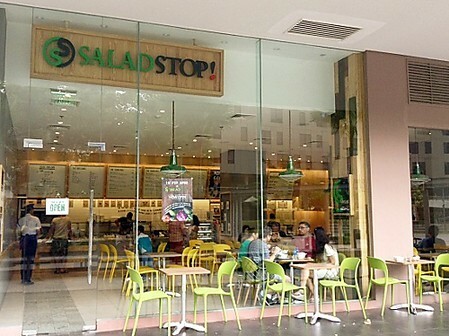 The first branch of SaladStop! in the Philippines is located at the ground floor of Central Square in Bonifacio High Street, BGC. 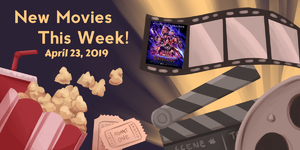 Open Mon - Thu and Sun from 8am - 10pm, Fri - Sat from 8am - 11pm. 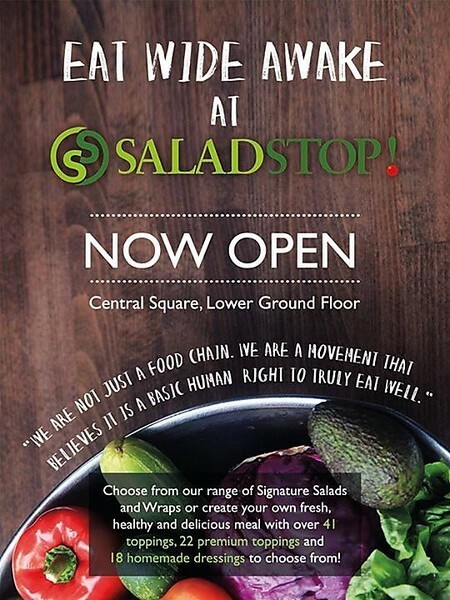 Like their Facebook page (/SaladStopPH), follow on Instagram and Twitter (@SaladStopPH), and visit their official website (www.saladstop.com.sg) for more information.